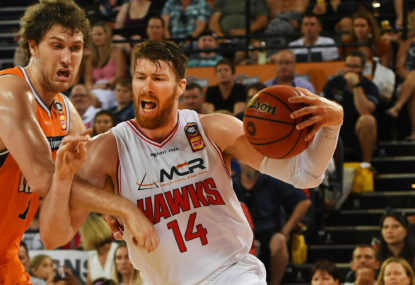 The revamped NBL pre-season competition, known as the Australian Basketball Challenge, took place over the weekend at the Brisbane Convention and Exhibition Centre, and won by the Illawarra Hawks. The crowds were well up on what might have been expected, even for a basketball-starved city such as Brisvegas, and the on-court quality for the most part good. The most pressing issue came from the Chinese teams involved, the Tianjin Ronggang Gold Lions and the Zhejiang Golden Bulls. Both teams were blown off the court each time they played, and it leaves massive question marks hanging over the NBL’s future possible expansion into China, which is something boss Larry Kestleman has hinted at time and time again. While money is an important proposition for a league that has struggled financially over the past decade, quality and the on-court product are paramount sell the product. Simply put, there won’t be TV dollars without a strong league. Even with Tianjin and Zhejiang sending full-strength line-ups, it was clear they aren’t anywhere near being competitive against the Aussie clubs. And with quality continuing to improve from season to season in the NBL, it’s hard to see that changing, meaning a merger between the NBL and the Chinese Basketball Association isn’t going to work. As seen with the Singapore Slingers at the end of the last decade, clubs based in Asia and playing Down Under don’t work. This is regardless of how much funding or what players you give them, as the massive travel time they have to endure is double any club in Australia or New Zealand. Meanwhile, the crowd is an important talking point to come out of the weekend, with more than 3000 turning up during the Saturday evening session, which featured the renewal of an old rivalry, between the Brisbane Bullets and Sydney Kings. With opening night for the league featuring the Bullets, playing at the 13,000 seat Brisbane Entertainment Centre, the weekend is a positive sign that match will draw a crowd and won’t be a bad look for the NBL. Given the massive amount of on-court talent seen over the weekend with most sides not even at full strength, support is going to grow as the season wears on. The Hawks came away with the Loggins-Bruton Cup, and while it’s difficult to take a lot away from pre-season fixtures, Illawarra look like they are going to give this season a shake, despite predictions of a rough season. Needing to beat Melbourne United in the final game was no small task, but one they took to expertly. Traditional pre-season challengers the Cairns Taipans were the other team to go through the weekend undefeated, while powerhouse clubs Melbourne and Perth both had records of two and one, along with hosts the Bullets. 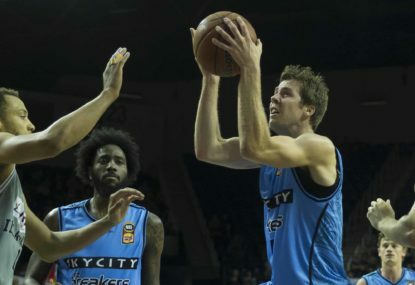 After a promising start to the weekend, the Kings fell away, while the New Zealand Breakers – without Corey Webster and key signing Kirk Penney – didn’t win a game. The weekend also saw the three-point contest taken out by Kings up-and-comer Jason Cadee, who shot 20 of 25 in the final to edge out former league MVP Rotnei Clarke. The dunk contest was won in anti-climactic scenes by Akil Mitchell of the Breakers, after some absolutely fantastic dunks throughout. 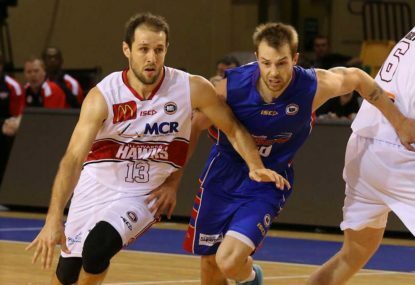 Don’t forget The Roar will have live coverage of the NBL season so be sure to check it out. There are four teams vying for the last spot in the NBL’s top four and they all just happen to be playing one another on Thursday night to open Round 17. 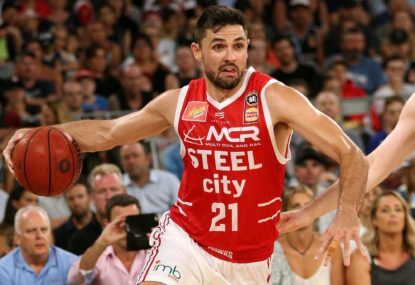 The Illawarra Hawks now know they have to win their remaining four matches to be any hope of taking part in the NBL finals, and while he’s in the middle of a career-best season, 250-gamer Todd Blanchfield is far from ready to give up. 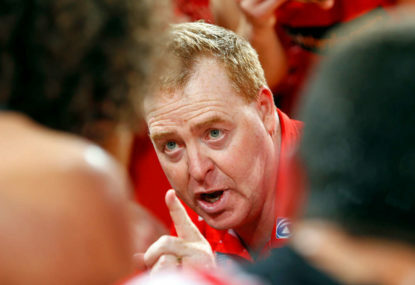 Illawarra Hawks coach Rob Beveridge might be frustrated with his inconsistent team this season as he approaches his 300th game coached in the NBL, but that milestone is a time to celebrate and reflect on a journey that has earned him master coach status. Andrew Bogut doesn’t need to score to be a match-winner for the Sydney Kings, Damian Martin has done it successfully for years with the Perth Wildcats and Illawarra Hawks skipper Kevin White is another NBL player universally respected without having to light up the stats sheet. 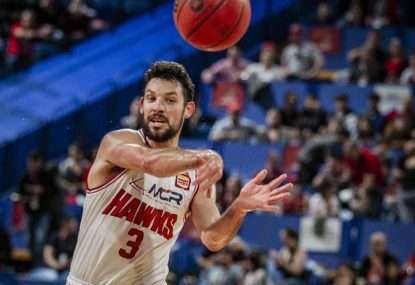 The Illawarra Hawks have snapped a two-game losing skid with an 87-81 win over NBL champions Melbourne United in Wollongong. He was captain of his club and the reigning NBL MVP before being unceremoniously dumped in his last season in the league. Brian Conklin deserved better and is proving just why he’s one of the great warriors of the league on return with the Illawarra Hawks.